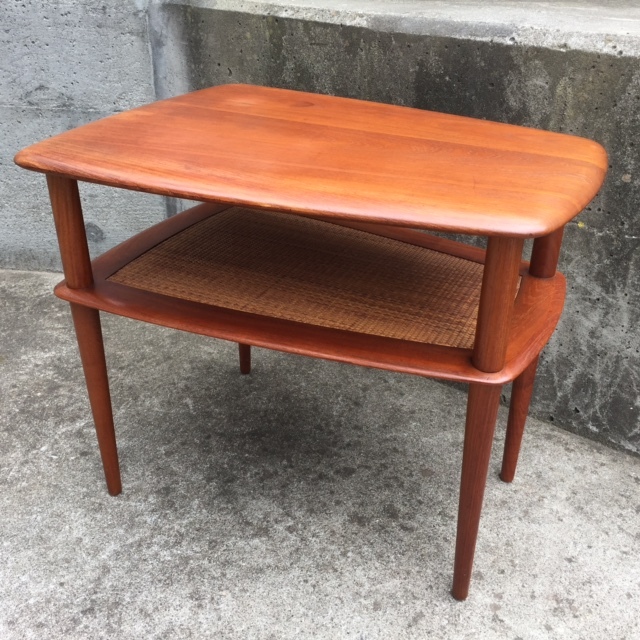 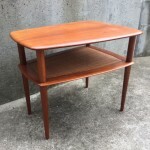 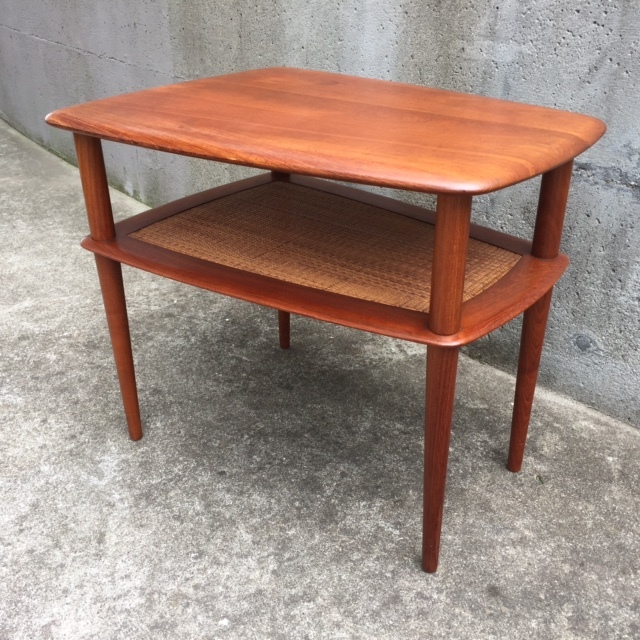 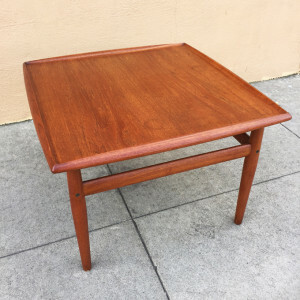 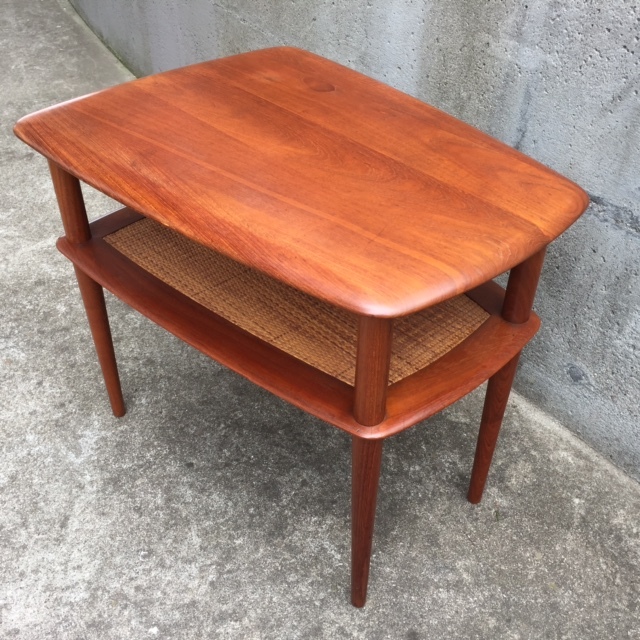 A teak and cane table from France and Son, designed by Peter Hvidt & Orla Mølgaard Nielsen. 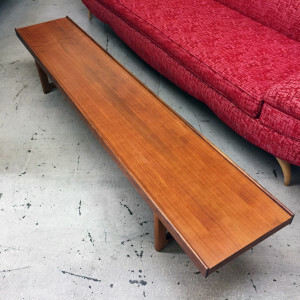 Solid teak construction with a unique trapezoidal shape narrowing at one end, sculpted edges, and tapered legs. 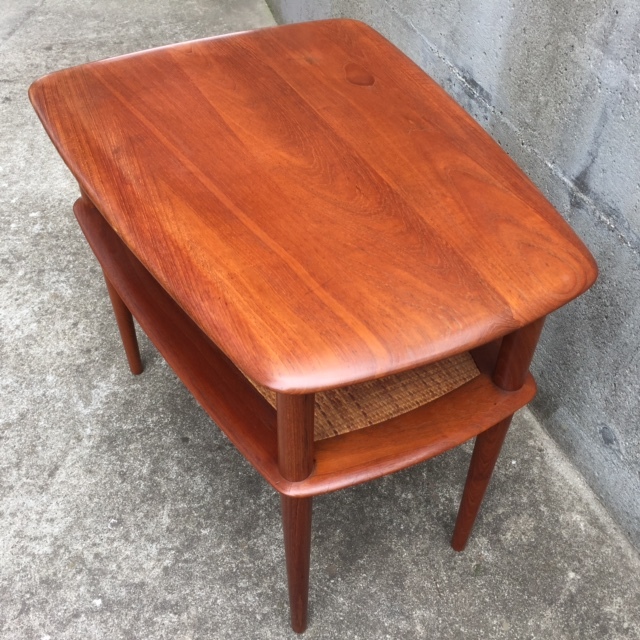 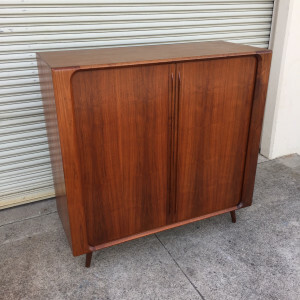 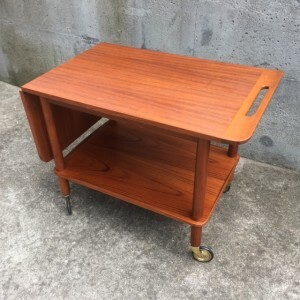 In excellent condition, minor age appropriate wear in the teak, no issues with the lower cane shelf. 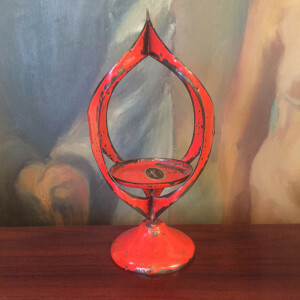 Is stamped on the underside with the double inverted “FF” France and Son mark, and “Made in Denmark” in gold. 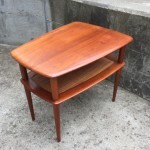 Dimensions: 28” wide x 21.5” deep at the widest end x 22.5” high.